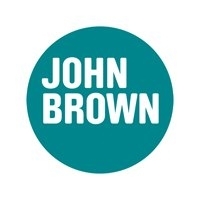 In less than six months John Brown Media, which secured the development of the Edgars Club website and its digital platforms, has increased web traffic, grown its Facebook fan base, drawn an 81% response rate (industry standard for Q3 2012 was 48%) and launched an inspirational new Pinterest offering. “Traditionally the festive period is a little slower in the digital sphere, so we’re incredibly chuffed with the results we’ve achieved; from great organic growth on Facebook to a fantastic response from our digital community. We’ve also introduced some new channels on the Edgars Club website; we’re kicking off the year on a high,” says Kim Seeliger, digital editor for Edgars Club. The new-look Club portal boasts a broader lifestyle appeal for the 1m-plus members, with travel being a major focus. The introduction of the Edgars Club Travel Desk, which has a dedicated team compiling exclusive online SA travel packages for members who wish to make the most of the user discounts, has proven immensely popular. From travel to entertainment, fashion, beauty and home; whether you need advice, want to take advantage of a discount, watch a quick video clip or take a sneak peek into the very popular monthly Club magazine, there is something for everyone. Plus, you can visit the Pinterest board for inspiration while keeping up to date with the latest tweets. Edgars Club digital channels also offer Club members the opportunity to benefit from events and competitions marketed solely via the website and social media, such as an exclusive preview of the latest 007 film, Skyfall, at the end of 2012 – a campaign run in collaboration with Club partner, Ster-Kinekor, which received a record response. John Brown Media has been responsible for creating engaging branded content across print and digital platforms for some of the biggest brands in South Africa since 2007, including Pick n Pay, Discovery, Edgars and Spur. The growth of the Edgars Club digital platforms is testament to its long standing relationship with the retailer, having published Edgars Club magazine and Edgars Club MAN magazine, along with Edgars Club supplements and catalogues since April 2011.